The “Spirit” Award is a special award presented to an individual who has demonstrated continuous support and outreach to other HGAR members. This year, we have two winners of the Spirit Award. The “Extra Mile” Award is a special award presented to an individual who has gone above and beyond and has given so much more than asked to the Realtor family. This year, we have two “Extra Mile” Award winners! The President’s Award is a person chosen by the current HGAR President, as someone who has been instrumental in helping him or her during his or her administration. The Stephanie Crispinelli Humanitarian Award is named for a brave young woman who was a victim of the 2010 earthquake in Haiti, where she had been volunteering to help families in need. Stephanie was the daughter of our fellow Realtor, Lin Crispinelli, of Houlihan Lawrence in Somers. The “Albert P. Schatz Legislative Advocacy” Award is a presented to an individual who has continuously advocated for their fellow Realtors and homeowners on local, regional and national levels of government. The “Up & Coming” Award recognizes our newer members or those who are new to getting involved with the Association and have shown a dedication to their volunteer roles. The “Edward I. Sumber Memorial Award” was created this year in member of Ed Sumber, who served as the Association’s legal counsel from 1975 to 2015. Ed passed away in June of this year, leaving both the legal and real estate communities with a huge loss. The HGAR “Affiliate of the Year” Award is based on an Affiliate’s participation in HGAR events and involvement with HGAR members. 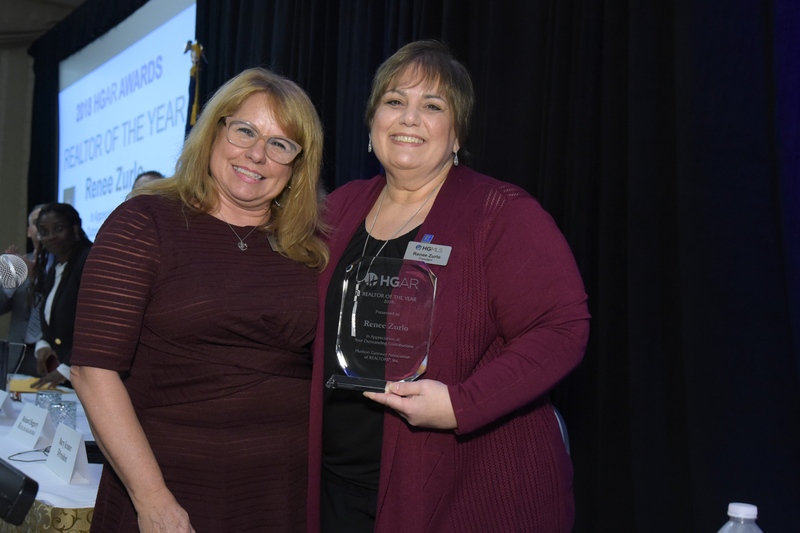 The HGAR "Realtor of the Year" award is not based on sales, but on involvement with the Association, as well as volunteer activities within the local community.